It kills me to have to write this article. To be honest I wish I didn’t have to write it. 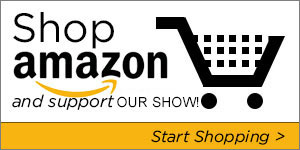 Here at Extreme Health Radio we’re all about promoting the products we use or have used. Recently I’ve been having some bouts of indigestion. I’d consume certain foods only to find I’d feel that really tight feeling in my stomach. I’m not sure if you’ve ever felt that. Basically it feels like someone is using their index finger and pushing really hard right on your stomach which is almost in the center of your chest where your ribs meet. It’s quite painful. If you take a moment and press really hard right there you’ll feel it might be hard to breath and the tight feeling is somewhat uncomfortable. With the particular bouts of indigestion I’ve been having lately, I’ve noticed that as the day continues on the tight feeling in my stomach becomes progressively more uncomfortable. My best guess is that it’s probably because as the day moves on, your body produces less and less hydorchloric acid (HCL). I’m sure it’s God’s way of telling us we’re not supposed to eat heavy food close to bed time. Be that as it may, I’ve really tried to figure out what the heck is causing this feeling of indigestion. It wasn’t heartburn because I didn’t feel any acid coming up my esophagus. I kept asking myself, what could be causing this? I’d take tons of supplements each day in order to help with digestion. If you’re interested in learning which supplements they are you can read more about that by clicking here. I tried removing all kinds of food from my diet. I’d do this for a few days to see what was causing the bloating, gas, stomach pain and mostly the indigestion. Sometimes it would be so bad I coudln’t sleep at night. After restricting my diet and trying all kinds of food combinations, I’ve finally figured it out. At least I think I have. As you know health is a moving target and what’s true today might not be true tomorrow in terms of how our bodies react to foods and supplements. I think I finally figured out it was the Sunwarrior Protein Powder I was putting into my green smoothies and my chocolate cacao smoothies. It’s too bad because I love this stuff so much! 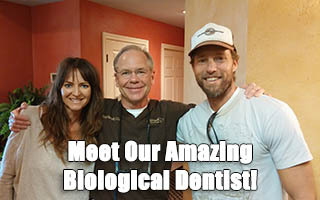 I love it so much that we even did an entire show with Nick Stern, the founder of Sunwarrior! One morning I felt fine and then I had some Sunwarrior classic vanilla powder in water only and I immediately felt that tight indigestion feeling. Now I realize that the problem isn’t the Sunwarrior. The problem is the health of my entire digestive system. But because rice is a grain perhaps my body (right now) can’t deal with that too well, even though it’s bio-fermented. As a culture if we sneeze when we’re around grass we run to the drug store and pick up some pharmaceutical medication in order to get rid of that symptom. When in actuality the allergy is a result of a damaged digestive system. In the same way I realize the issue is not Sunwarrior protein powder. The issue is always us. This goes for anything in life. We need to take complete responsibility for our lives and realize that the problems we’re facing are in fact caused by us. When I took the protein powder back to the health food store and told the clerk why I was returning it, he actually said that people have complained about the same thing and they’ve been getting some returns lately. I’m not saying you shouldn’t try it out. I feel like I was able to build muscle on this protein powder but for now I’m going to exclusively focus on using One World Whey as my protein powder of choice. Usually I cycle on and off One World Whey so now I’ll stay with that one for longer and see how we go. So as of now, I’m going to change all links on this site that point to our Sunwarrior affiliate link to go straight to their website so we don’t get commission for it. Perhaps in the future we’ll turn that back on again if I heal up my gut and can tolerate it or if I find out that the Sunwarrior is not in fact the cause of my indigestion. 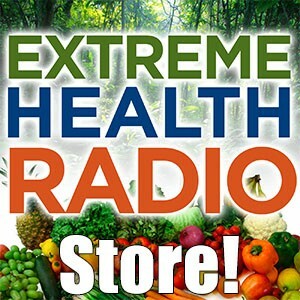 I just wanted to be upfront with you guys about what we promote here at Extreme Health Radio. 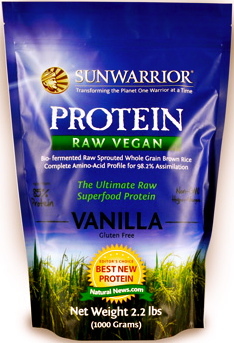 Have you had any digestive issues with Sunwarrior Protein Powder?